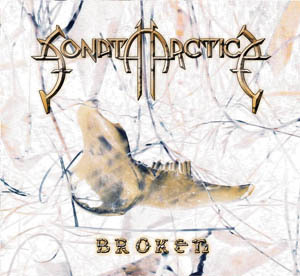 "Broken" recorded at Tico Tico Studio, by Ahti Kortelainen during September-November 2002. Mixed by Mikko Karmila at Finnvox Studios and mastered by Mika Jussila at Finnvox Studios in November-December 2002.
by Ahti"ararai"Kortelainen as part of "Sonata's Moto-aid campaign". Mixed by Mikko Karmila(2002) and mastered by Mika Jussila(2003) at Finnvox Studios.